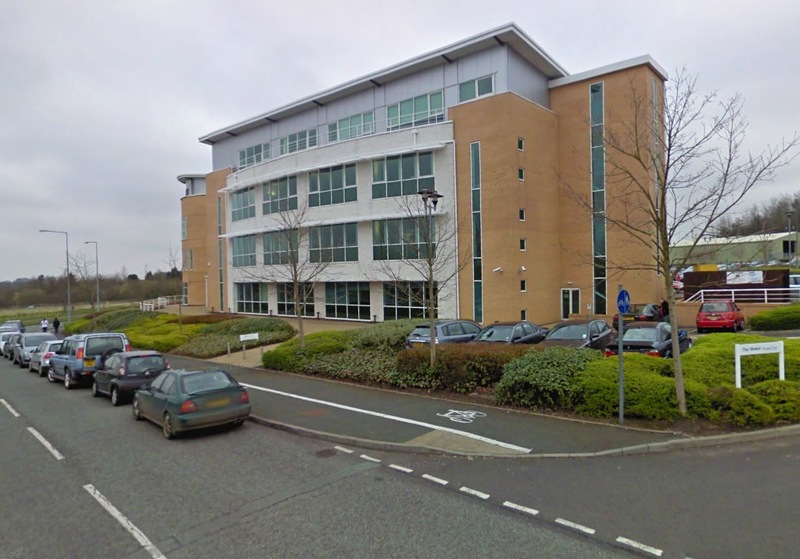 We currently meet in the Wrekin Housing Trust offices near Telford Town Centre, Shropshire. We meet in their training room, which has chairs and tables suitable for sitting and writing at. It is all on the level and there are no steps to contend with, either inside or out. When coming to the venue, enter through the main doors at the front of the building, sign in at reception, mention that you’re attending the Wrekin Writers group and the security guards/receptionists will point you in the right direction. Toilets are available. There is a small parking area, just inside the main entrance (to right of picture above), which has a couple of disabled parking bays, and a few bays for all other cars. Alternatively, park on the road outside the offices (as seen to left of photo). Telford Central train station is about one and a half miles from the offices. Click this link to see suggestion walking route from the station. Bus routes that pass the Housing Trust offices include route numbers: 23, 25 and 892.